I had put this project down for a while, and I had been thinking about it. And it would come to mind again. So, I started working on it again. I think the reason why I stopped knitting this sock was that I’m getting fed up with slippy teeny tiny needles. The are metal, and I am not a fan of metal DPN’s, but it’s what I could find in the size. That’s ok, I’ll deal. I already knit one sock with them! The nice thing is, the more I knit the gusset, the fewer stitches there will be on to of the three needles, and therefore less likely to find their way of slipping of the needle. I believe that if I take this sock slog a few rows at a time, I’ll be ok. I don’t want to get overwhelmed and frustrated. That is never fun, and knitting is supposed to be fun, right? I haven’t forgotten about this sock. I just set it aside. Now, it’s time to finish it. Posted on May 12, 2016 by jennabee25Posted in RamblingsTagged knitting, purple, second sock syndrome, slog, sock. Previous Previous post: Mother’s Day Success! Good luck. I’ve not tried socks yet but I have used metal DPNs before and was very glad when my project was big enough to transfer to circular needles! I usually use wood or bamboo if I can. 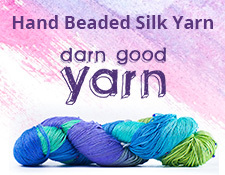 Try socks on worsted weight yarn for your first pair…they’ll go much faster!